This is my second solo marimba CD that I recorded in the Lyric Hall on the campus of the University of North Texas in 2001. I was so happy to have the opportunity to record David Maslanka’s Variations on Lost Love for the first time. 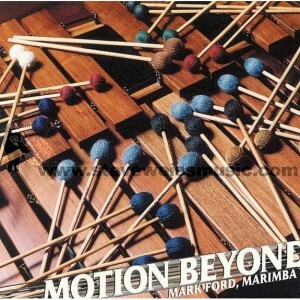 It had long been one of my favorite marimba solos. David wrote this beautiful music in 1977 and it was definitely time for a recording! Many thanks to David and Leigh Stevens for giving me the rights to record this masterpiece. This CD also features the UNT Wind Symphony directed by Eugene Corporon as well as the UNT Percussion Ensemble. Both of these ensembles were amazing! And of course the CD has my own compositions Motion Beyond and Afta-Stuba! I’m pleased that this CD is now available again on CD Baby! Enjoy!